The Alliance is pleased to invite all Years 9-11 students in Australia and Years 10-12 students in New Zealand to our 2019 Making a Difference Summit. Designed for students who are interested in stepping into student leadership roles, the programme will give girls the skills and confidence needed to pursue their aspirations to lead their classmates and school community. Focusing on leadership and life skills that aren’t taught in schools, the Summit will prepare girls to apply for and take on leadership roles with confidence and purpose. 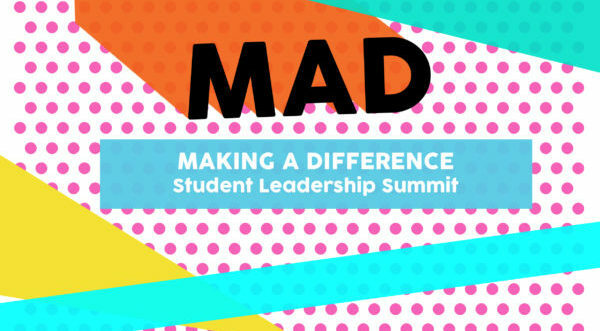 Through in-depth workshops and powerful speakers, the Making a Difference: Student Leadership Summit will give girls the opportunity to find their inner leader. Years 9-11 students in Australia and Years 10-12 students in New Zealand who have an interest in furthering their leadership opportunities. Authentic Leadership: Determining your leadership values & strengths and understanding leadership styles. Melbourne: 10-11 August 2019, 8.30 to 4.00pm each day at Strathcona Baptist Girls Grammar School, 34 Scott St, Canterbury VIC 3126. Christchurch: 6-8 October 2019, at Rangi Ruru Girls’ School, 59 Hewitts Rd, Merivale, Christchurch 8014 New Zealand timings are: Day 1 – 1.00pm to 4.00pm , Day 2 – 8.30am to 4.00pm, Day 3 – 8.30am to 11.30am. The Sydney and Brisbane Summits are condensed one-day workshops. Residential option: PLC Armidale is offering a residential option for students travelling to the event – the cost will be $170 for two nights, including meals in addition to the main ticket price. Accommodation is available on 17th and 18th July. Melbourne: Members $329 per student/Non-members $395 per person (inc GST). Students are required to bring their own food and drinks for the event. Brisbane: Members $148 per student/Non-members $195 per person (inc GST). Students are required to bring their own food and drinks for the event. Sydney: Members $148 per student/Non-members $195 per person (inc GST). Students are required to bring their own food and drinks for the event. Residential option: Rangi Ruru Girls’ School is offering a residential option for students travelling to the event – the cost will be $165 (AUD) for two nights, including meals in addition to the main ticket price. Accommodation is available on 6th and 7th October. The Making a Difference Summit’s are proudly supported by Alliance partner Crimson Education.